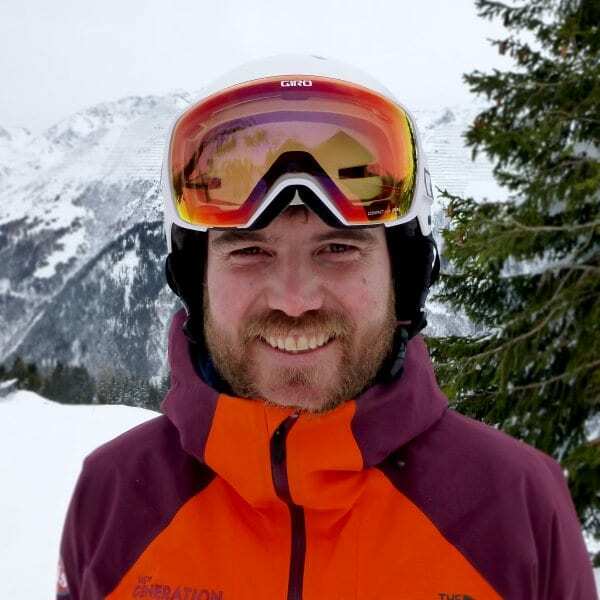 I am from Nottingham, I first learned to ski aged 15 on a school ski trip to Italy. I was instantly hooked. Years later I started working ski seasons Les Arcs, France as a chalet host, this enabled me to have a lot of free time on the mountain. In between seasons I have worked as a swimming teacher at a summer camp in Massachusetts and I have worked in a Villa on the shores of Lake Como. I wanted to become an instructor so I can pass my knowledge and passion on to others. I have taught in Italy for Interski and I can’t wait to start teaching in St Anton this season. I have been on stage with Nile Rodgers. I love helping people to improve, it doesn’t matter how good you are (or think you are) there is always something to learn. Personally though I love skiing bumps, this makes me weird even in skiing circles. Challenge yourself every day. It can be a big challenge or a small challenge, try skiing on one leg, try skiing backwards or whilst juggling. Get out of your comfort zone. Fancy a private lesson with Mark on your next holiday?